The controversial Enviva wood pellet plant in Hamlet has received a key state permit that would allow it to pulverize more logs and ship the pellets overseas to be burned as fuel. 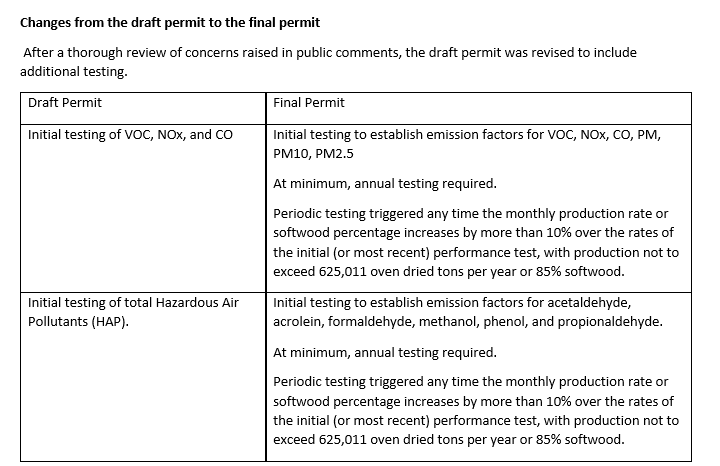 As Policy Watch reported in November, Enviva had asked DEQ to modify its air permit in more than a dozen ways. The most significant request was an increase in production of pellets from 537,000 oven-dried tons per year to 625,000. The Maryland-based company also wanted to change with the mix of softwoods and hardwoods it would use. These adjustments can produce greater amounts of pollutants, particularly volatile organic compounds (VOCs), like formaldehyde and benzene. Enviva proposed to install controls that the company says will cap pollution to less than 250 tons per year. During the public hearing, timber industry workers and representatives asked DEQ to approve the permit for economic reasons. Environmental and health advocates and several scientists urged DEQ to reject the proposal, pending further reviews. Among their requests were air monitoring at the fenceline, a more thorough environmental justice analysis and a fuller accounting of how the wood pellet industry contradicts the governor’s executive order on climate change. 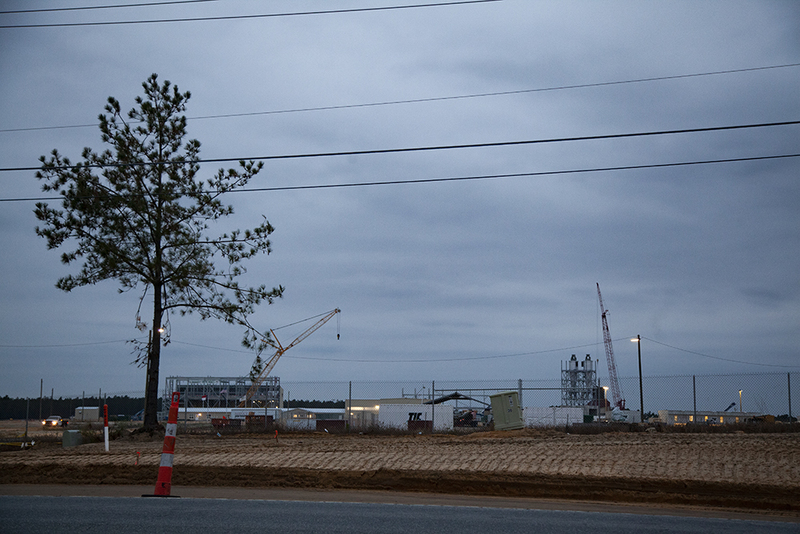 DEQ said in its press release that after considering public comments, the agency required additional pollution monitoring and controls on the plant. For example, Enviva will now have to test for particulate matter, including PM 2.5. That particulate matter is no wider than a human hair and can burrow deeply into the lungs. But these additional controls don’t address the global impact of the wood pellet industry. The United Kingdom burns wood pellets in lieu of coal, ostensibly to cut its carbon dioxide emissions. But science has shown that the entire production cycle of wood pellets creates more CO2 per unit of energy than coal. Cutting the trees releases CO2 into the air. It takes decades for new trees to absorb the same amount of CO2 as its timbered forebearers. Add in the emissions from the plant and transportation — truck, rail and ship — plus the actual burning of the pellets themselves. Adam Colette, program director at Dogwood Alliance, immediately criticized DEQ’s decision. Dogwood Alliance has worked with concerned Richmond County citizens in opposing the project on environmental, social justice and public health grounds.